HomeRevision – use these approaches with students! Revision – use these approaches with students! Year after the year, the same pressures attend exam revision. Each year teachers try the old favourites, alongside a few new revision strategies to keep our students interested. Happily, we now have a wealth of evidence to support some revision strategies over others as we approach the revision stretch. We know that students are not the most reliable when it comes to judging their own learning, with regular self-testing proving the most effective antidote. We also know that some strategies, like re-reading and using highlighters, are largely ineffective, whereas as quizzing does the trick. We know that a little ‘deliberate difficulty‘ may well prove a good thing for revision, and that ‘cramming‘ is inferior to ‘distributed practice‘ (or spreading revision out over time), when it comes to remembering. We should be careful not outsource an approach to revision to a company promoting the following strategies, or to puff up the confidence of our students. A successful approach to revision needs to be deeply rooted in subject knowledge, and sustained over time, so subject teachers need to explicitly teach the strategy, model it, and offer guided practice before we expect our students to use them effectively. 1. Quizzing. Good old fashioned quizzing is an ideal vehicle to get students self-testing, which is proven to be a robust revision strategy, so that students can calibrate their knowledge and remembering. There are various types of quizzes, of course, such as short answer quizzing, multiple choice or a hybrid of the two, with different question types suiting different purposes. 2. Flashcards. Flashcards are a very familiar tool used by students. Crucially, however, too many students fail to use them for effective self-testing – (only 30% in this research). Clearly, we need to train students to design, or find, effective revision flashcards, before then training them in their use. Students should also beware dropping flashcards they think they know. 3. 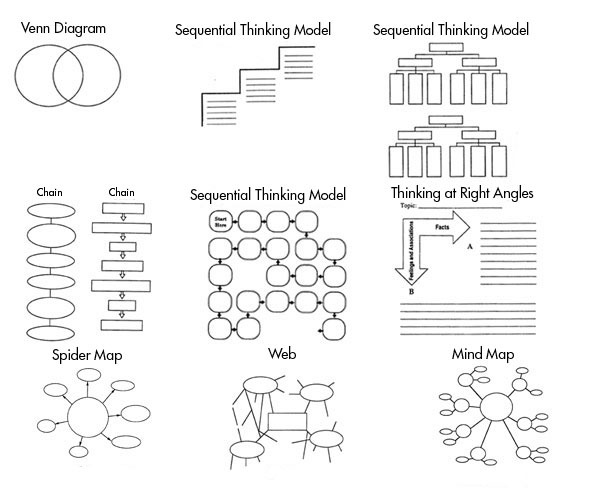 Graphic organisers. Students need to be active in revision, not just reading their notes and doing some colouring in with a rainbow of highlighters. Graphic organisers are a handy vehicle to get students reconstructing their revision topics, making meaningful links and connections (in cognitive science, this is labelled the ‘generation effect‘). 4. 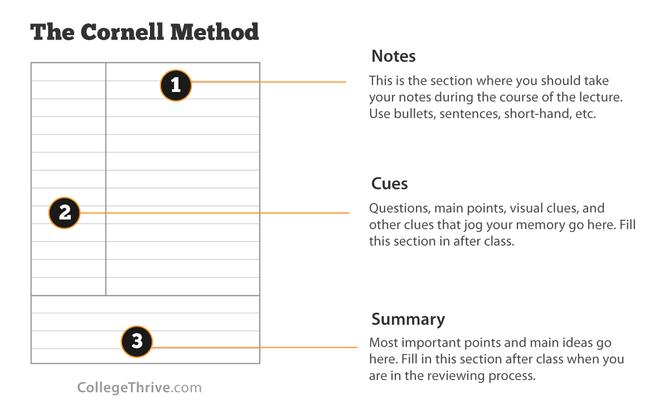 Cornell note-taking. Another strategy that utilises the ‘generation effect‘ is the well-known note-taking approach: the Cornell method. Named after the US university, this strategy gets students thinking metacognitively, asking questions, noting key terms, and summarising the content being revised. 5. Exam wrappers. 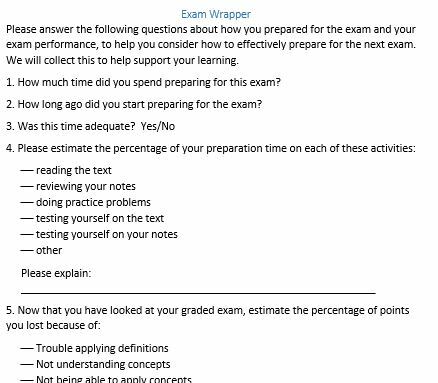 This helpful feedback strategy, labelled ‘exam wrappers‘ because they wrap around information on how the student has revised, offers important information for the teacher to help diagnose how effective, or extensive (or not), revision has proven. Also, it can prove a good way to help puncture student over-confidence in their revision. See these online examples HERE and you can find a useful Word template HERE. 6. ‘Just a minute’. A long time favourite strategy of mine, ‘Just a Minute’ takes the classic radio game and adapts it to almost any topic, text, or examination revision term. Put simply, students have to talk for a minute on the given term/topic – no pauses, no hesitations. Slips or repetitions or micro pauses lose a ‘life’ – three strikes and you’re out. This strategy harnesses the ‘self explanation effect‘. In short, if you can elaborate on a topic and explain it well, you have retrieved it from memory – a good revision act – as well as likely consolidating it too. 7. ‘Prepare to teach’. Similar to ‘Just a Minute‘, the ‘Prepare to teach‘ strategy involves the common idea of getting students to teach a peer a topic/term from their revision. Once more, it gets students to elaborate on their knowledge. Even expecting to teach appears to have a positive impact on students learning material, so this seemingly inconsequential tweak can have very beneficial effects. 8. ‘Select, elect’. Another revision strategy that gets students thinking hard about their revision is ‘Select, Elect‘. In simple terms, you get students to ‘select’ the most salient facts, ideas, concepts, or terms, from a given revision topic, before then asking them to ‘elect’ what they deem the most significant knowledge or idea/concept that they need to understand for their examination. This gets students actively engaging with their revision material, whilst being metacognitive about what is the most salient information they need to remember. 9. Topic ranking. Remember that students are often not the best judge of their own revision and how effective it may or not be. By getting students to rank their own knowledge of their topics being revised, they deploy the important metacognitive strategy of evaluating their learning. Though they will likely be inaccurate – indeed overoptimistic – in their judgments of their knowledge and learning, it still helps students better calibrate their revision and monitor their ongoing progress. 10. Past questions. Ok, so no rewards here for originality: students need to practice examination questions, over and over, well spaced over time. The effect of exploring worked examples or exam answers, as well as writing their own, helps students process, practice and refine their revision to meet the parameters of exam success. Elizabeth Bjork, Robert Bjork and colleagues, have the excellent Bjork Learning and Forgetting Lab, which brilliantly distils a lot of the evidence from cognitive science that is relevant for revision. The Sandringham ‘Revision Clock’ is a great resource and there is a blog to explore the rationale. 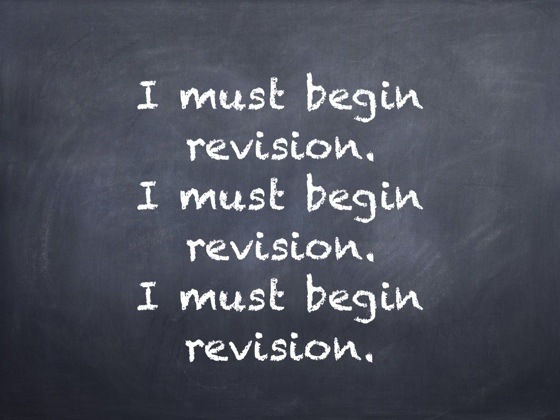 I have written a lot here on revision, all stored in my ‘Revision Collection’, as well as articles in TES such as this – ‘Your revision technique should be about quality not quantity‘. ← Homework – what works?